Looking for Residential Doors in Kansas City? Doors are often an afterthought in home design. There are so many decisions to be made, and it can seem like doors are pretty straightforward. But they can do so much more than simply separate two rooms! Doors can add to the ambiance and style of your home in ways you can hardly imagine! Above All Construction is not only an expert team that can professionally install any type of doors you choose, but we can also help you in that stressful decision-making stage when you feel like all your creativity is tapped out! Traditional Wood – There’s a reason they’re a classic! Wood doors are versatile, so they look good in any style home, from the front and the back. You can choose from many different styles, including those that integrate glass. Styles even include the battened and ledged door, more commonly called barn doors. Glass – Glass doors can open a room up to the outside, regardless of the temperature or other environmental factors. Glass works for exterior doors if security isn’t a concern or if there are other safety features in play. Basic glass panels, French doors, or metal and glass combination are just a few of the combinations you can choose from. Frosted glass is a unique option for interior doors. Metal – A metal door is another interesting option for more contemporary homes. Steel and other metals produce a nice contrast between hardwood or stone floors. These doors can be hollow to reduce their weight or solid for more protection. Installation takes a little more thought, but the result is worth it! 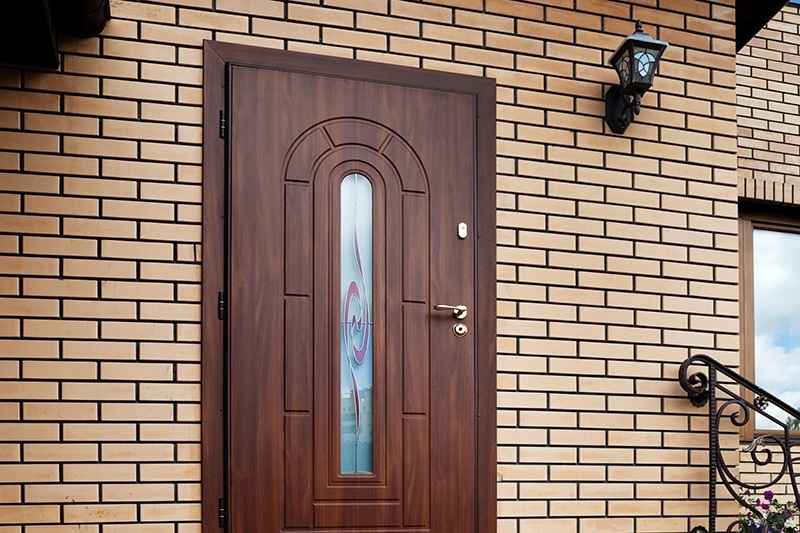 PVC – Plastic doors, made from Poly Vinyl Chloride, are great for many reasons. They are termite and rot resistant, offer easy installation, come in many colors, and are relatively inexpensive. PVC doors are best for residential interiors since they offer very little protection compared to other types. Aluminum – If you want a lightweight door, aluminum is a modern option. You can’t go wrong with the sleek, simple look of aluminum. These doors are also strong, making them suitable for interior or exterior use. However, they can be dented fairly easily, so they may not be the best choice for rowdy or busy homes. Bamboo-Jute – One of the most creative choices on this list is the bamboo-jute composite These doors are water, rust, termite resistant, putting any homeowner’s mind at ease. They are also eco-friendly since bamboo is readily renewable. Beautiful, unique designs for interiors and exteriors are available if you decide to go with a bamboo-jute composite door. Within each of these material categories, you can choose from hinged, Dutch, or sliding varieties, plus many more. Roll up doors aren’t just for the garage any more, and you can save space with pocket doors that slide right into the wall! When you need major door inspiration, call Above All Construction!